Last July I wrote this post Should Internet access be Free in Hotels. After numerous feed back online and offline and having read several related articles, each one pushing a different opinion, my thinking has slightly evolved over time so I have decided to write this follow-up post. I also felt it was important to dissociate whether hotels should provide a WiFi connection? and whether this connection should be provided Free Of Charge? Often these two questions collide though they are actually unrelated. The below study recently released by J.D. Power and Associates based on responses from more than 53,000 guests who stayed in a hotel between May 2009 and June 2010 in North America is confirming that (together with complimentary breakfast) a WiFi connection is the most desired amenity in a hotel. That was expected. This is a paradox when we know that a fast and reliable WiFi connection that guests can access without calling the hotel Chief Engineer is not necessarily a given. Internet connections are too often slow, unstable or require time and efforts to access. A reliable WiFi connection today can (should) be compared with hot water: it is a duty for all hotels to provide it. I insist on the word “reliable”. Many hotels claim to provide a WiFi connection but we’ve all been there… Simply loading a page can often be a torture. These hotels are getting away with the minimum but still proudly advertise the feature on all their collateral. Also, until recently, a WiFi connection was considered as an amenity for business travellers only. It is not true anymore. Internet is needed by everyone and anyone whether it is for business or leisure. Even on holidays, guests are travelling with their laptop or their iPad and want to be able to access their Facebook, personal emails etc. whenever they want. Two desktop computers at the business center for 250 rooms is not enough. Period. Should WiFi be free, why, where, how? This question does unleash passions each time you raise it. First of all, it is important to know that in some cases hotel owners have not paid for the infrastructure, a third party did and gets a percentage of the revenue generated by selling the connection by the hour. So providing WiFi free of charge is just impossible contractually in some cases. 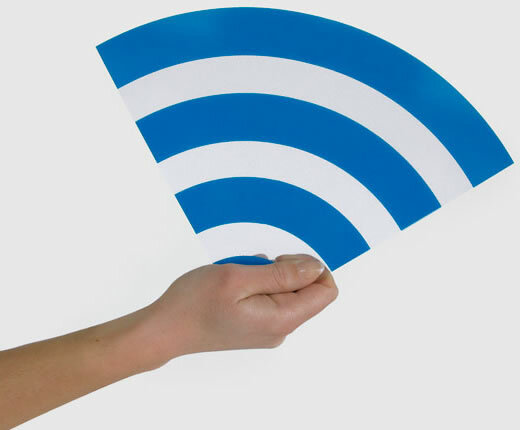 We saw that Best Western recently decided that all hotels across their network have to provide WiFi free of charge to their guests as part of the brand promises. But the reality shows us that this is not as simple as sending out a Memo to all. There is still a long way to go before this promise becomes a total reality. Many owners to convince. Surprisingly, hotels that do provide the amenity for free are not the ones we thought it might be. The chart below from the J.D. Power and Associates 2010 study shows us that the lower the room rate, the higher the chance you have to enjoy the service included in the room rate. I would personally interpret this insight by the fact that travellers staying at luxury hotels are less sensitive about paying for extras than the more cost conscious guests. Although it would be interesting to find out whether higher yield guests (older?) are less subject to using the internet in their room than mid-scale (younger?) guests. If it is the case, it may explain this result. Please note that this study has been done in North America and results may vary according to regions. There is no doubt that hotels that do charge for the internet connection see it as an easy way to increase revenue in the same way that guests get charged for mini-bar or pay-per-view movies. The problem is that now-days internet usage should not be compared with mini-bar consumption. A can of coke, a mignonette of vodka is something that you want. But internet is something that you NEED. Like hot water or electricity. This is the fundamental difference between today and 5 years ago. A WiFi could be, back then, considered as a “luxury item” but it became over the years a commodity that makes your stay *quite* uncomfortable if you don’t have it. I often read that offering a free WiFi connection increase the level of guests’ satisfaction. This can be true in some cases but in my opinion it does greatly ignore that the ultimate priority must be to offer a fast and reliable internet connection. The fact that your guests cannot comfortably surf the web in their room will create automatic dissatisfaction, whether they have paid for it or not. Even if the connection is free, an unstable connection will leave your guests frustrated and unsatisfied. The opposite is also true. A fast and reliable connection will make your guests satisfied, no matter whether they have to pay for it or not. An internet connection should not and cannot be perceived as an additional revenue stream. It is part of your guests’ everyday life and everyday needs and therefore should be considered as an additional operational expense. So my ultimate advise is to first get your technical infrastructure in the right order, invest in your bandwidth and right equipments (all not cheap) so your guests can enjoy the facility in the way they deserve to. As far as the pricing is concerned, build your cost in your room rate as much as you can and, if you cannot give it away, start implementing more guest friendly charges, flat rates etc. because it is only a matter of a couple of years before free WiFi becomes a universal accepted practice. Thank goodness that finally someone has the guts to come out and speak openly about this topic. Almost every hotel in India and Europe that I have been to talks about customer service yet charges their guests ridiculous prices for WiFi usage in the hotel. American hotels are even worse. Only in America do you have budget hotels that offer free WiFi and full service hotels within the same hotel group (e.g. Marriott) that charge exorbitant fees for the same ! Isn’t it supposed to be the other way round, if at all ? At my Mitaroy Goa Hotel, FREE WIFI was the first thing on my long list of guest amenities – long before free soap and hot water ! Thanks a lot Mihir for this passionate contribution! You are right, there is no logic in what is currently being done. It looks like a chicken running without head. Which is often the case when we are at a cross road between two “eras”. Great follow up and my sentiments exactly. I received a lot of feedback to our article on the lack of free wif fi in hotels as well, I shall spread this follow up around. I completely agree with this. I live in Australia, and it’s far worse. Often speeds so slow it’s crazy, access ONLY via a network cable (ethernet) rather than wifi, and then the gaul to change up to $25 a day for the service. I’ve personally heard that we really annoy visitors from other countries who can’t believe the prices. It’s one of those culture things – unfortunately the culture in Australian hotels is the charge for the service, and changing culture is hard. I’m currently on holiday in the USA, and found free WiFi in Vegas (Mirage), free WiFi at a lower end Rodeway motel, yet paid $12.95 per day at the better end Hyatt Regency. I couldn’t agree more on this. I live in New Zealand and the internet access rates are high and unlimited wifi doesn’t exist. Most of Hotels do charge clients for the Internet access, and the very few that are providing unlimited internet access are doing it with a day limitation (20mb per day). Internet is part of our daly life and shouldn’t become a luxury at our hotel. You are so right, Wifi IS the new hot water! As I have been following you for a while I’ve added you on my blogroll. I have worked in the hospitality industry for about 37 years, your views are quite pertinent. As compared to hot water, free Wifi is the upcoming amenity. Hi Jean Mario, thanks a lot for your positive comment!